FlippingBook Publisher allows you to create Right-to-left publications, common in Arabic, Persian, Urdu, Hebrew, Yiddish, and other languages. You will be able to set the page flip direction of the publication itself to RTL as well as change the position of the icons in the bottom menu and at the top panel. How to make your publication flip from right to left? The page flip type in FlippingBook Publisher is set automatically, based on your language preferences. So, for instance, if your publication is in Hebrew, the flipping mode will be automatically changed to right-to-left. However, if our software doesn't recognize the language correctly, for example, because your publication content is a mixture of several languages, or if you use images instead of text, you can set the page flip direction of the publication manually. 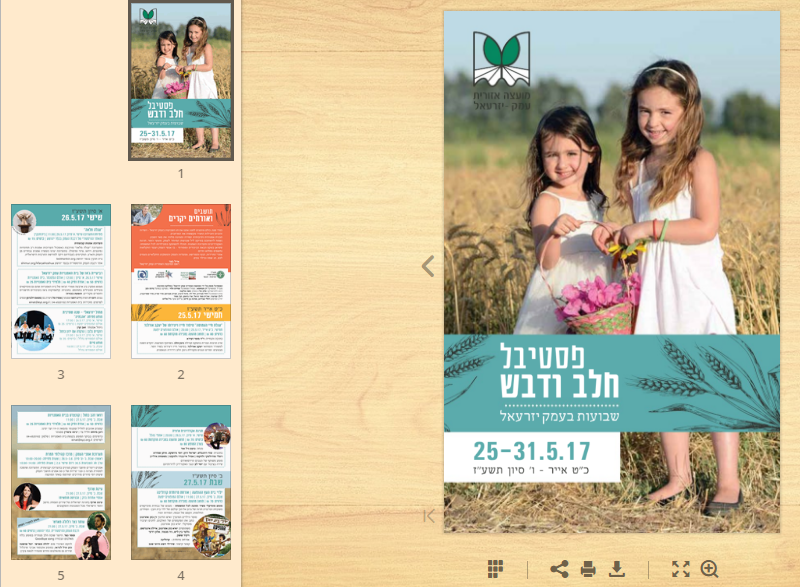 Open your project in FlippingBook Publisher. Go to Settings tab and choose the section Book. Find the box Right To Left Flipping. Check the box to activate the new flipping mode. After you check the box and publish your project online, you will enjoy right-to-left flipping every time you open your publication in a browser. How to change the language and the position of the icons in the bottom menu and at the top panel? The position of the icons within a publication depends on the viewer’s browser language, which is detected automatically. Usually, there’s no need to make any changes manually. Note!To see the Text Captions tab, click on the Aa icon in the upper right corner of the page. Once you choose the language, uncheck the box Multilingual Publication, and publish your document with these settings, only your preferred language will appear in the interface, no matter what language is set in the user’s browser.